CULLMAN – The General and Constitutional Amendment Election is tomorrow, Tuesday, Nov. 6, 2018. 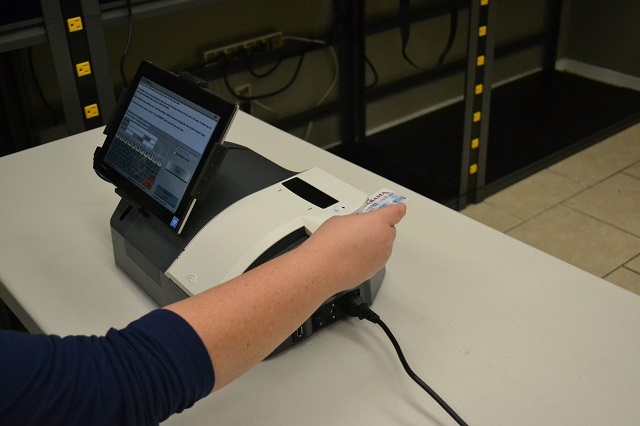 Polls will be open from 7 a.m. to 7 p.m.
New in this election, all Cullman County polling locations will be equipped with ExpressPoll Tablet electronic pollbooks, which means that voter check-in will be done electronically by poll workers. Instead of signing their names in an actual book, voters will sign the tablet with guidance and instruction from election workers. In addition to several statewide races, Cullman County voters will see a handful of local races, but only one in which there is opposition: Cullman County Coroner Jeremy L. Kilpatrick, a Republican, is facing challenger and former Cullman County Coroner Gary Murphree, who is a Democrat. Voters will also decide four state constitutional amendments, dealing with the 10 Commandments, abortion, the University of Alabama Board of Trustees and vacancies in the Alabama House of Representatives and Senate. One local amendment will address how the money for feeding inmates in the Cullman County Detention Center is managed.